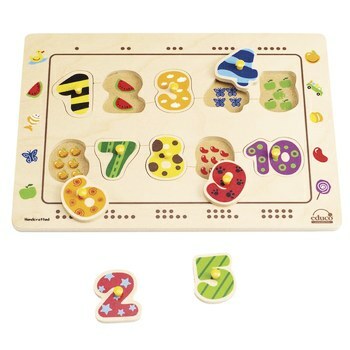 I am pleased to offer select toys by Hape! Why Hape? 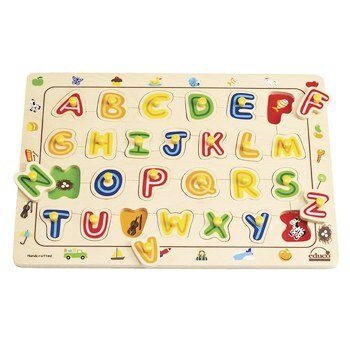 All Hape toy finishes are all non-toxic, child safe, and of the highest quality. All Hape products comply with EN71 and ASTM quality standards and wood used comes from FSC managed forests. Want to purchase? Because there is a limited quantity, please email me at bhamgreenparent@gmail.com to check availability and if in stock, I will send you a paypal invoice. Please provide a shipping address so I can calculate actual shipping charges. Once the invoice is paid, your order will be shipped. Quantities are limited, so get your order in now for Christmas. PLEASE NOTE: Shipping to continental US only. For ages 3 and up. WARNING CHOKING HAZARD. 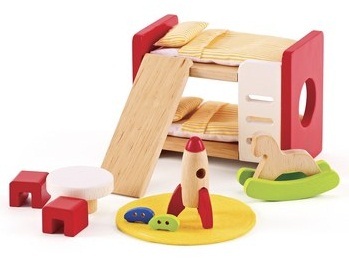 Furnish the kids room with bunk beds, a play table and chairs and even a rocket ship. Great dining room set with table, 4 chairs, and china cabinet. 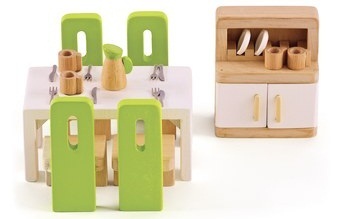 This detailed set even has tiny silverware, cups, and dishes. Furnish the baby’s room too. 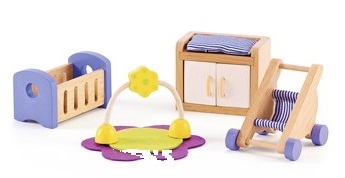 Comes with crib, changing table with pad, playmat and stroller. This spaceship and rocket provide the fuel for imaginative explorations as children prepare, launch or arrive at their destination somewhere in the galaxy. The four-level spaceship is designed similar to actual space shuttles with areas for mission control, an on-board laboratory, a living compartment and even an exercise room and connects via a working elevator. Children can refuel by pluggin in and unfolding the solar panel. 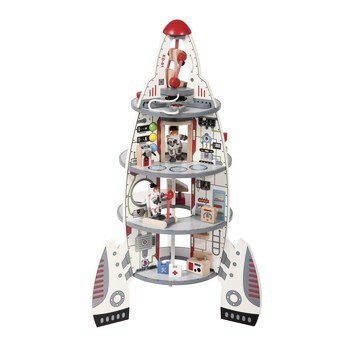 The Lift-Off Rocket has a cockpit for an astronaut to blast off for independent travel and secures safely on the top level of the playroom with two astronauts, a moving robot, land rover, alien, moon crater and more. Please visit my Amazon Affiliate Store to find safe and healthy products for your family. Products are BPA, pthalate, paraben, PVC, lead and other toxin-free! Earth Mama Angel Baby is a wonderful, zero-toxin, all-natural line of products for mama and baby! Visit Earth Mama Angel Baby today! The Soft Landing is a great store with only the safest feeding products available!